Yes, there is a social network for people who love worms. Vermicomposting is the use of worms in composting techniques to create new soil, fertilizer, and rich compost. 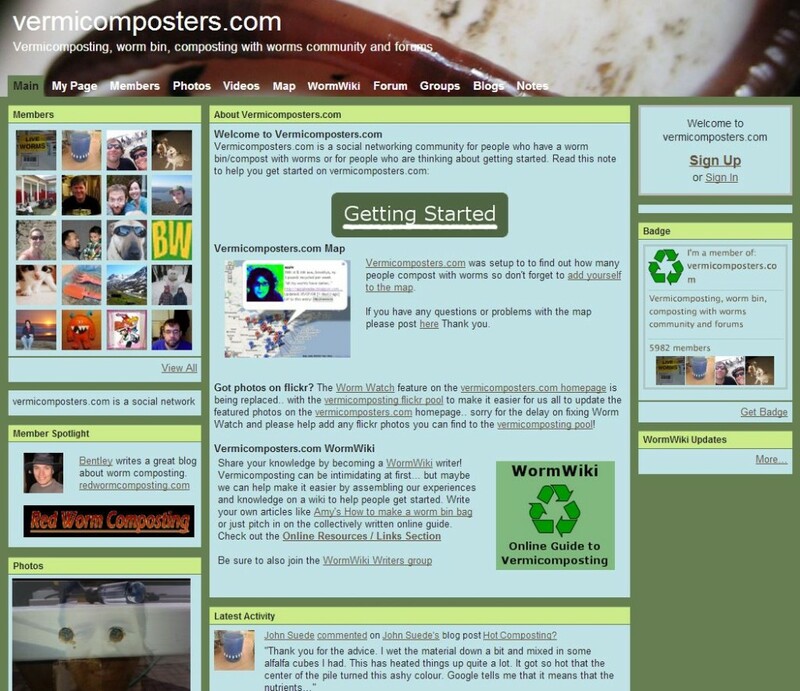 Vermicomposters.com is a social network and information hub for people interested and passionate about vermicomposting. It is much less strange than you might think: worms can be a powerful force in sustainability and organic gardening. Thanks for visiting! As far as other websites that cover sustainable living and cultivating life, every one of my posts features a great resource. The http://www.cultivated.co/category/learn/ section shows a few sites where you can learn more, as does the Connect section. As far as other sites that feature sites, articles, and resources like mine, well, that’s why I made this one! Any more questions? don’t hesitate to ask! This is my first time pay a quick visit at here and i am genuinely impressed too read everthing at one place. I simply want to tell you that I am just very new to weblog and honestly enjoyed your blog. More than likely I’m going to bookmark your blog post . You certainly have very good articles. Regards for revealing your blog site. Thanks for the feedback. I am going to do a little testing and tweaking to fix the issue. Thanks so much! I think that you can do with a few % to drive the message house a bit, however instead of that, that is great blog.